A big snow storm, Olympics and play (and some school work thrown in there), that is what this week consisted of. I'm glad this week's template had a lot of photo spots because I took a LOT of photos. I really had a hard time going through my pictures trying to pick out the ones I should use for this week. Now that I've finished my page I'm happy with the ones I chose. They really show what our week was like. I have a few tips for this week. 1. Don't be afraid to add text on top of your photos. I did that on two of my photos here because I felt like they needed a little more explaining. I like the look of it, and I'll probably be doing it some more on my future Daily Life pages. 2. Make sure to include pictures of everyone in the family, including yourself. My husband is great at picking up the camera and taking pictures of me...even when I don't want him to! This week you get a picture of me sledding in the snow with Lydia. It was a lot of fun, and I'm glad I'll have this memory to share with Lydia. We had a big snow storm this week. There was a lot of playing in the snow & hot chocolate! The 2014 Winter Olympics are also going on, and we had to have a special “Olympic” snack while we watched some of the events. Garrison came over to play with Kyla. They are the cutest little buddies....especially when they play headbanz. Emmie has been learning to play the djembe, & she got to practice with the family one night when we had worship time at home. Kyla has spent a lot of time lately building with the blocks we got from Grandpa for Christmas. We also finished a 500 piece puzzle this week while being snowed in. Emmie has recently discovered the joy of reading....especially in the sunny spots in the house. 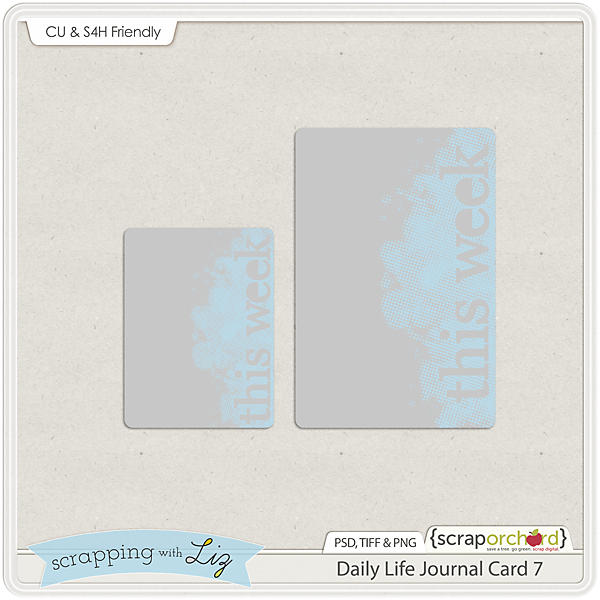 Before I leave today, here is this week's Daily Life: Journal Card 7 freebie. I hope you are enjoying these. Just click the image to download and don't forget to grab the rest. 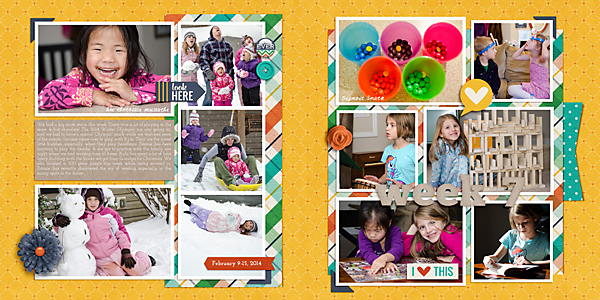 I love the brushed look on this week's journal card template ... thanks so much for sharing these! 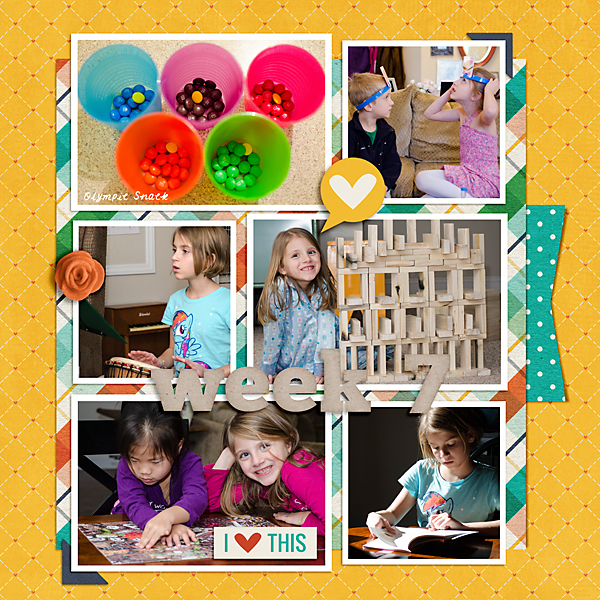 Thanks also for sharing your weekly LOs; I love the clean simple lines. 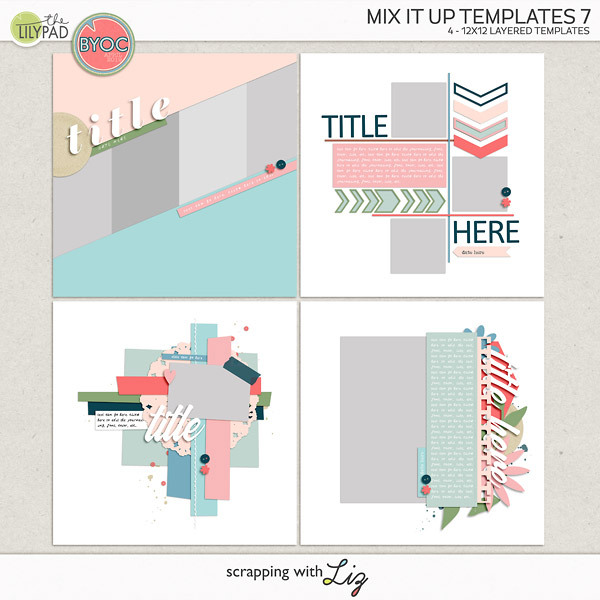 I'm loving these journal card templates :-) Thank you for sharing! Love these so much. Thanks. Thank you so much for another awesome journal card! 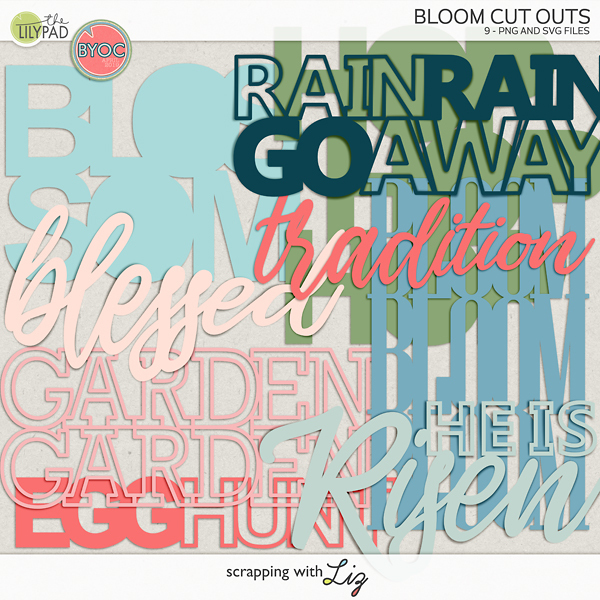 Such an awesome journal card template. Love the grungy look to it.